Tanzanian foods are unsubtle but nonetheless, they are mostly mouth-watering and filling. Most of the dishes that make up Tanzanian cuisine are typical all over East Africa. The country’s diet is largely based on starches like sorghum, millet, pilaf, beans and cornmeal. Over the years, Tanzania foods have been gradually developing, and the items have a wide variety that ranges from vegetables and fruits to milk products and meat. Again, Portuguese explorers introduced cassava and groundnuts which went on to become a vital part of the nation’s diet. This article looks at 10 delicious Tanzanian foods to be enjoyed by all. 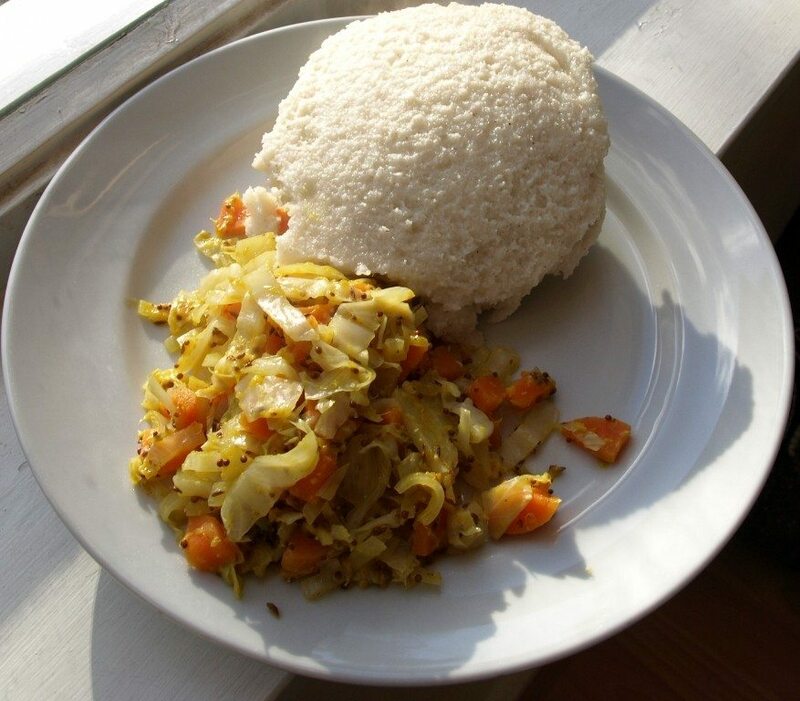 Ugali is the meal that could be considered as Tanzania’s national dish. It is a stiff dough prepared with cornmeal (maize meal), cassava flour, sorghum or millet. The dish is usually served with a sauce that contains either fish, meat, cooked vegetables or beans. Typically, it is eaten from a large bowl that is shared by all the people seated at the table. A well-prepared ugali is neither too sticky nor dry. If there is one meal that can be described as essentially Tanzanian and indeed East African, it has to be Nyama Choma- which means grilled meat. It is a barbecue of goat, fish or chicken, with barbecued bananas or Ugali as side dishes. The dish is prepared by taking freshly slaughtered meat and slow–roasting it on a grill consisting of metal fencing on top of a bed of charcoal. 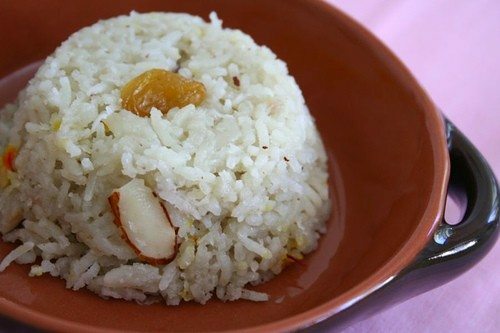 Pilau is one of the dishes prepared only when there is a ceremony or during the weekends. It is a rice dish flavored with spices and prepared in stock whereby poultry, meat, fish or hard-boiled eggs may be added. 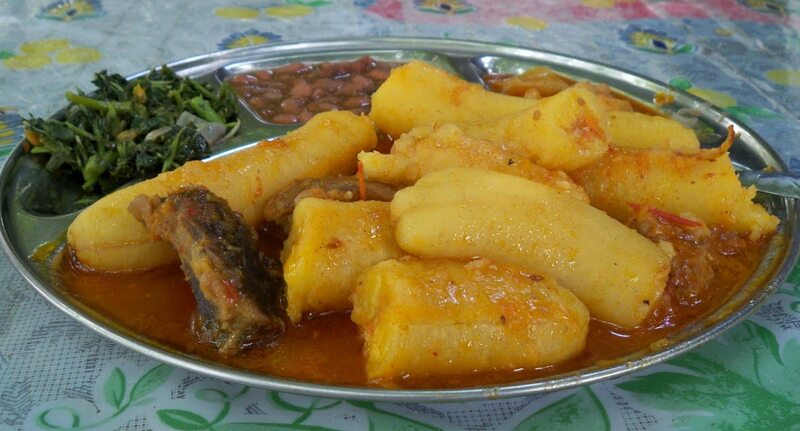 It is originally a dish from West India but is now popular in the coastal areas of Tanzania. This meal is usually served with Kachumbari, an uncooked salad dish made up of chopped tomatoes, chilli peppers and onions. A traditional Tanzanian dish, chapatti is similar to Indian flatbread or Roti. It is an unleavened flatbread with no baking powder or yeast, and quite popular among the Swahili speaking people of Tanzania. It is undoubtedly a favourite meal for any Tanzanian homestead; going by the way children get excited when they learn chapattis are being prepared. For the most part, special occasions are never special without chapattis being prepared. Mchemsho, translated to trouper, is one of the special Tanzania foods. The dish is served in the northern part of the country. However, despite its deliciousness, it is not eaten on a daily basis due to the many ingredients needed to prepare it. This makes it quite expensive when compared to other local meals. Ingredients include carrots, potatoes, green beans, eggplant, cabbage, onions, bananas, tomatoes, ladies finger, sweet pepper and spices. During preparation, one can choose to mix vegetables with meat or fish. Ndizi Nyama or green banana with meat or fish is another one of the delicious Tanzanian foods we are bringing on the table. 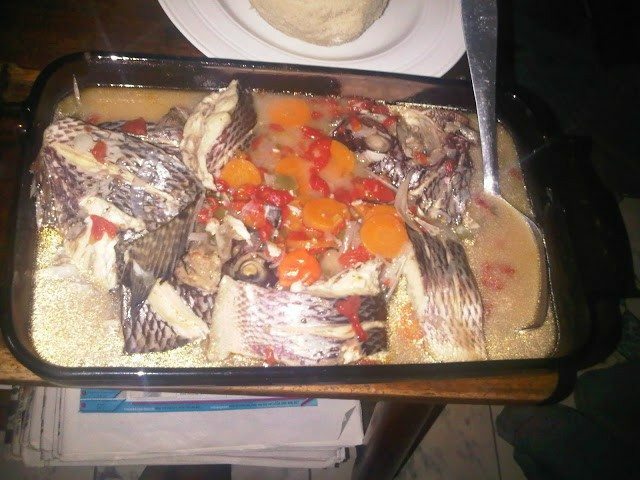 It is a stew of carrots, onions, bitter tomato, sweet pepper, banana, ladies finger, fish or meat. 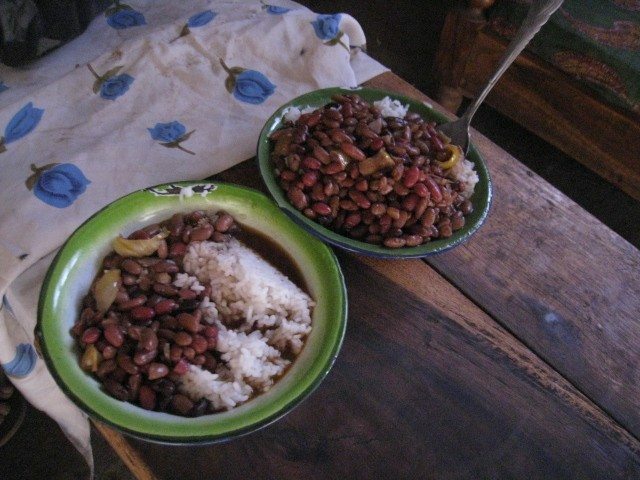 Once ready, it can be served either with rice or ugali. Plantain soup, locally known as Supu ya Ndizi, is a traditional Tanzanian dish made by pounding plantains to paste, then cooked in chicken stock. It is usually served in soup bowls and seasoned with pepper and salt. Wali na maharage, translated to rice and beans, is a Tanzanian dish eaten with fish, vegetables or meat. Often, the rice is cooked with coconut milk or oil. The meal is based on typical flavours of east Africa but can be easily adapted to use the products found in the cook’s area. In addition, it can be flavoured with spices like cinnamon, cardamom, cumin seeds, pepper or cloves. 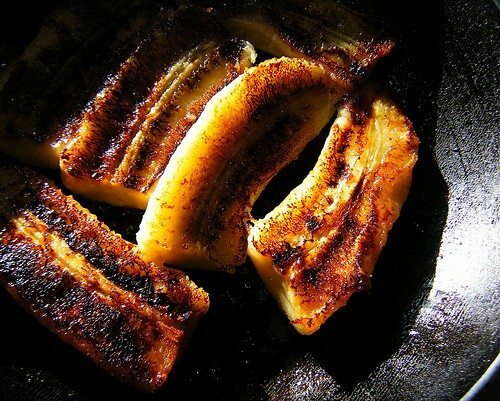 Ndizi Kaanga which stands for fried plantains or green bananas is a popular Tanzanian dish. Usually prepared unsweetened in the country, this meal can be added a light sprinkling of sugar in order to bring out the sweetness in it. Wali wa nazi, or rice made with coconut milk is a popular Tanzanian food eaten mainly by members of the Swahili community living along the Indian Ocean coast. It’s a rich, creamy accompaniment to any chicken, meat, curry, or fish. The above are ten of the most delicious meals eaten by Tanzanians. This shows that people living in inland Tanzania prefer beans, cornmeal, millet and sorghum, while those in the coastal areas go for fish and rice cooked in coconut milk or oil. You might want to try any of these delicious Tanzanian foods the next time you visit.